Three dimensional holographic images and floating displays outside a screen have long been a favourite of science fiction movies such as the rescue message carried by R2-D2 in Star Wars. The success of James Cameron’s 3D movie Avatar caused a tremendous worldwide interest in flexible, high-definition and floating display devices. 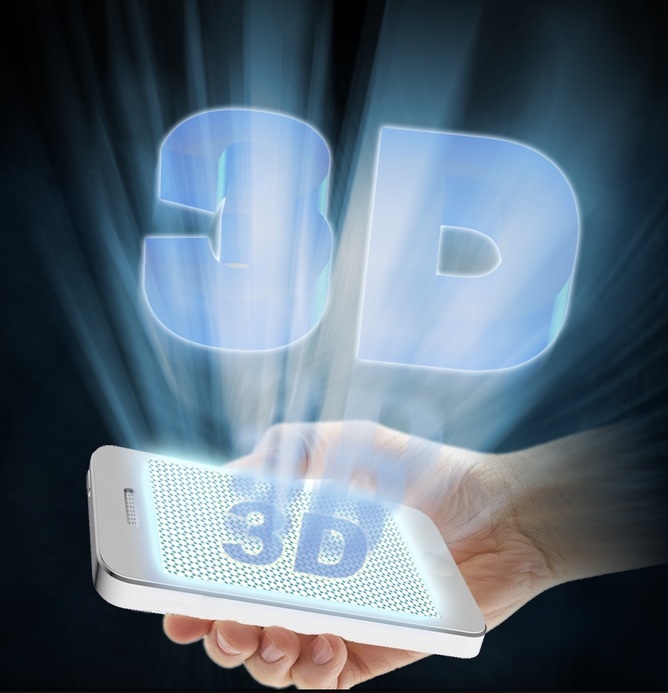 In fact, the dream of optically displaying a 3D object has been constantly driving the revolution of display technologies over the past decade. At the moment most 3D imagery is only seen with the aid of special glasses. But the revenue generated by this 3D technology market in 2013 exceeded US$93.21 billion (almost double the global solar market), and is expected to grow up to US$279.27 billion by 2018. 3D floating displays feature in the 2009 movie Avatar. The research efforts in nanotechnology have significantly advanced development of display devices. Graphene, an atomic layer of carbon material that won scientists Andre Geim and Konstantin Novoselov the 2010 Nobel Prize in Physics, has emerged as a key component for flexible and wearable displaying devices. Owing to its fascinating electronic and optical properties, and high mechanical strength, graphene has been mainly used as touch screens in wearable devices such as mobiles. Wearable technology with displays have advanced a lot with screen technology – but they’re still display only 2D images. This technical advance has enabled devices such as smart watches, fitness bands and smart headsets to transition from science fiction into reality, even though the display is still 2D flat. But wearable displaying devices, in particular devices with a floating display, will remain one of the most significant trends in the industry, which is projected to double every two years and exceed US$12 billion in the year of 2018. In a paper, published today in Nature Communications, we show how our technology realises wide viewing-angle and full-color floating 3D display in graphene based materials. 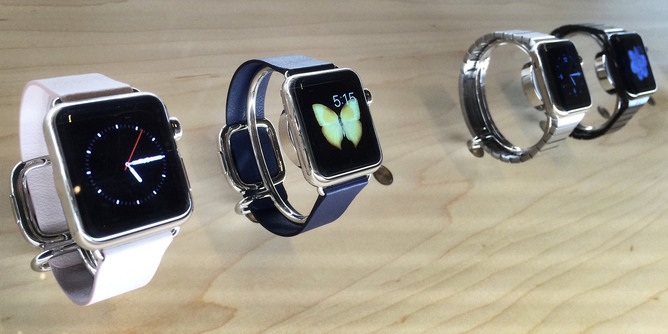 Ultimately this will help to transform wearable displaying devices into floating 3D displays. A graphene enabled floating display is based on the principle of holography invented by Dennis Gabor, who was awarded the Nobel Prize in Physics in 1971. The idea of optical holography provides a revolutionary method for recording and displaying both 3D amplitude and phase of an optical wave that comes from an object of interest. The 3D hologram are only 1cm in size at the moment – but it’s a start. The physical realisation of high definition and wide viewing angle holographic 3D displays relies on the generation of a digital holographic screen which is composed of many small pixels. These pixels are used to bend light carrying the information for display. The angle of bending is measured by the refractive index of the screen material – according to the holographic correlation. The smaller the refractive index pixels, the larger the bending angle once the beam passes through the hologram. This nanometer size of pixels is of great significance for the reconstructed 3D object to be vividly viewed in a wide angle. The process is complex but the key physical step is to control the heating of photoreduction of graphene oxides, derivatives of graphene with analogous physical structures but presence of additional oxygen groups. Through a photoreduction process, without involving any temperature increment, graphene oxides can be reduced toward graphene by absorbing a single femtosecond pulsed laser beam. During the photoreduction, a change in the refractive index can be created. 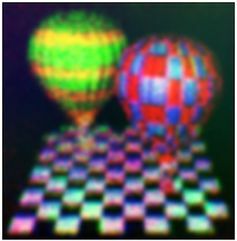 Through such a photoreduction we are able to create holographically-correlated refractive index pixel at the nanometer scale. Our technique enables the reconstructed floating 3D object to be vividly and naturally viewed in a wide angle up to 52 degrees. This result corresponds to an improvement in viewing angles by one-order-of-magnitude compared with the current available 3D holographic displays based on liquid crystal phase modulators, limited to a few degrees. In addition, the constant refractive index change over the visible spectra in reduced graphene oxides enables full-colour 3D display. At this moment, the demonstrated graphene 3D display can only allow images up to 1cm. But there is no limitation for the up scalability of this technique. Larger 3D holograms are only a few years away. Owing to the excellent mechanical strength of graphene based materials, our technique can help to transit graphene-enabled wearable displaying devices from 2D into floating 3D displays. It is projected that graphene 3D display at tens of centimetre scale, perfect for the wearable displaying devices, will be available within five years. This new generation floating 3D display technology also has potential applications for military devices, entertainment, remote education and medical diagnosis. The demonstrated principle would have potential impacts on the development of versatile holographic components and underpin the soaring development of holographic anti-counterfeit tags, security labels, identification code and so on.